Welcome . I am a Fine artist who loves animals and combine my love of art and animals into my felted animal sculptures. 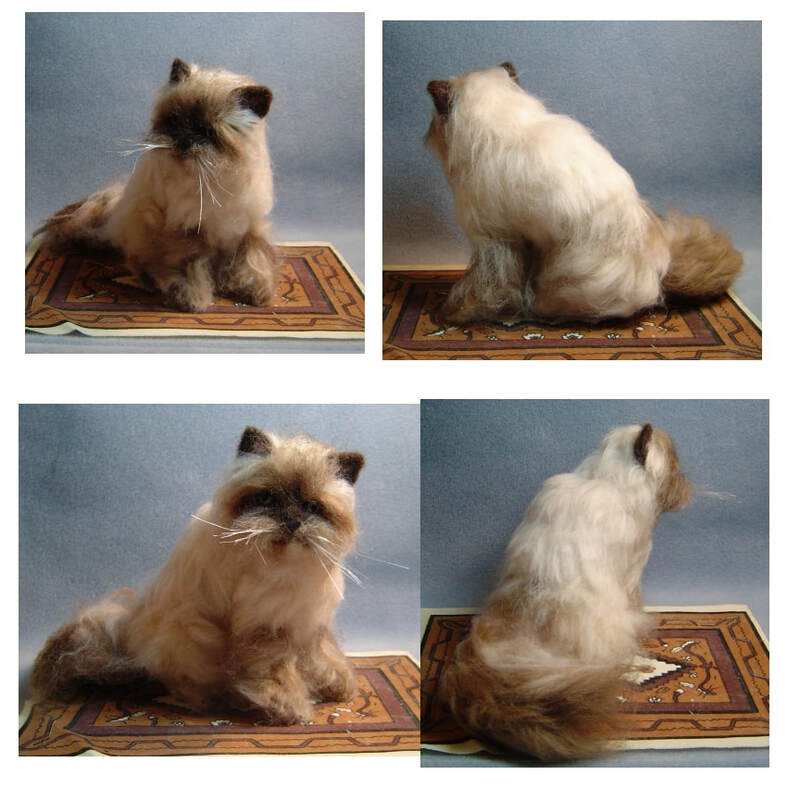 I make realistic miniature pet replicas of your dog or cat using your pets photographs as a reference to create a truly unique custom sculpture . 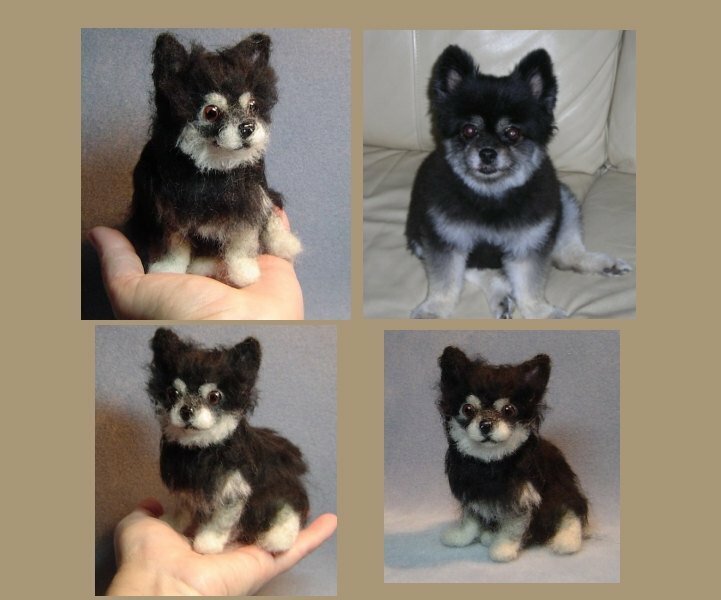 Needle felted sculptures make heart warming memorials of your dog or cat. The sculptures can be displayed in a clear box or on top of a pet urn. Each felted sculpture is made from natural fibers over a sturdy wire armature. You can choose the pose. 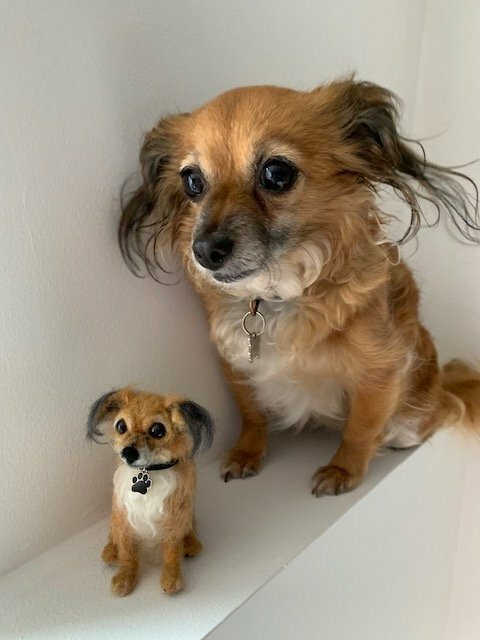 I spend many hours to create a loving likeness of your pet. Please feel welcome to contact me using the form. I will get back to you within 24 hours . Pet portraits and memorial sculptures of beloved pets are individually created by me, using a technique called needle felting. 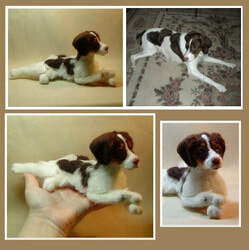 Each one is individually handcrafted to sculpt a likeness of your pet. I consider my work a form of 3 D dog portraiture. Many of the dog and cat sculptures I make are memorials made in memory of a real pet who has passed away . My sculptures celebrate the life of pets and the wonderful relationship and companionship they offer us. 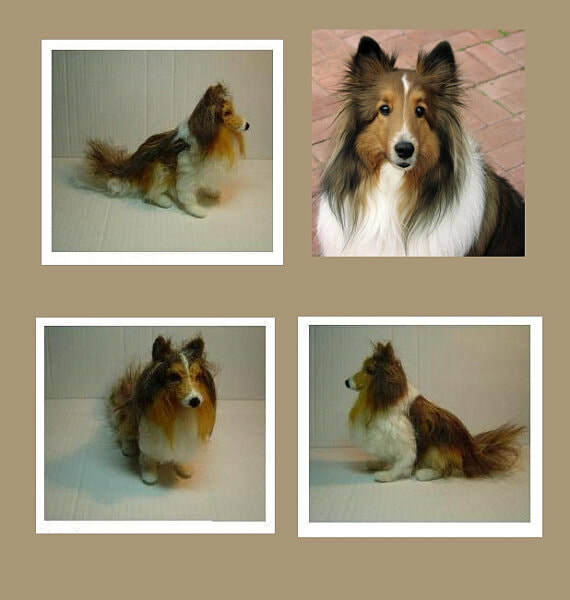 My custom made dog and cat pet replicas are made with love . Each one is individually handcrafted using a technique called needle felting which creates a firm and soft to touch sculpture. touch and hold your miniature pet sculpture in your hands. Each one takes many hours to create as the sculpture must be built up layer by layer over a wire armature. I endeavor to capture the personality and spirit of your pet by carefully studying the photos sent to me. Prices can vary due to the size, complexity or markings on your pet. I would enjoy hearing from you so please do not hesitate to email me with any questions.